Join Collections Curator Bonni-Dara Michaels as she handles and sheds light on unique Passover objects from the Museum’s collection, which are currently not on view to the public. See an array of historic holiday artifacts up close – and while they are not behind glass – including traditional and modern Seder plates, Miriam cups, beautiful fabric items, and whimsical artworks. Create a Mizrach, a family name plate, or a decorative plaque of your choice. Choose from a selection of Hebrew fonts and design motifs to create a personally meaningful work of art for the Passover holiday. The Center will close at 2pm Thursday, April 25 for Erev Passover. The Center is closed Friday, April 26 for Passover. Union Square is where two major roads intersected and where labor unions gathered energy, and it is also the place where Jewish history and American history intertwined in fascinating and diverse ways. Come analyze the buildings, Macy's, Tammany Hall, Margaret Sangers Planned Parenthood townhouse and come hear what Emma Goldman, Emma Lazarus and others had to say about immigration, suffrage and free love. 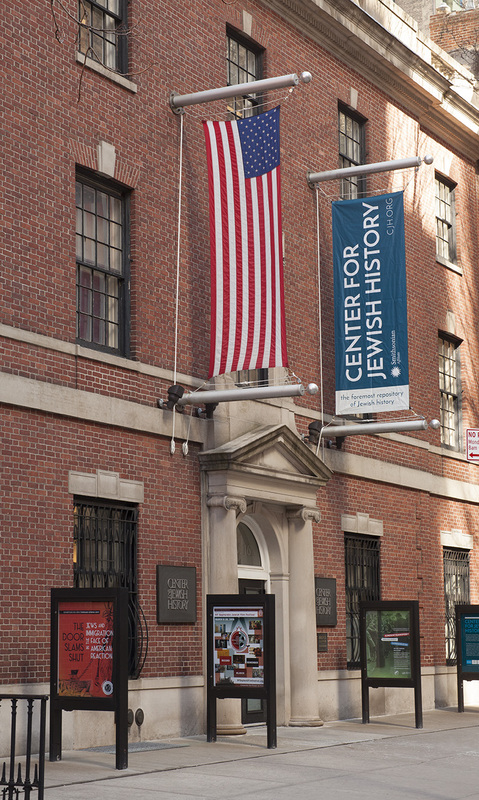 This special walking tour ends with a behind-the-scenes look at the objects and primary sources including Emma Lazarus' handwritten manuscript of the New Colossus that inspired the tour. We live in a time when the availability of genealogical records appears to be almost endless. Every day, a new database becomes available or new records are added to an existing database. This growth has enabled people worldwide to make large strides in searching for their ancestors from the comfort of their own homes. FamilySearch.org is one of the leading online providers of free international genealogical records, but its vast website can be difficult to navigate. In this presentation, W. Todd Knowles will provide an overview of the most effective methods for using FamilySearch.org to locate records of Jewish ancestors. Before the lecture, join us for a tour of the Ackman & Ziff Family Genealogy Institute, a FamilySearch affiliate library, beginning at 12:30 PM. W. Todd Knowles is a professional genealogist on the staff of the Family History Library in Salt Lake City, Utah. After being introduced to family history at the age of 12, he soon discovered his Jewish roots. His journey to learn more about his Polish-Jewish great-great-grandfather led to the creation of the Knowles Collection (knowlescollection.blogspot.com). 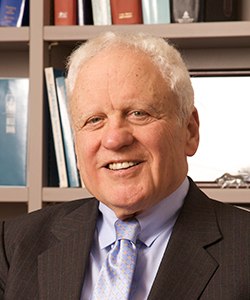 Knowles has spoken throughout the world and his articles have been widely published. He currently serves as President of the Jewish Genealogical Society of Utah. Join Anita Norich in conversation with Joseph Berger about Jewish refugees in America, female authors, Yiddish novels, translation and more to celebrate the launch of Professor Norich’s translation of Kadya Molodovsky’s novel. 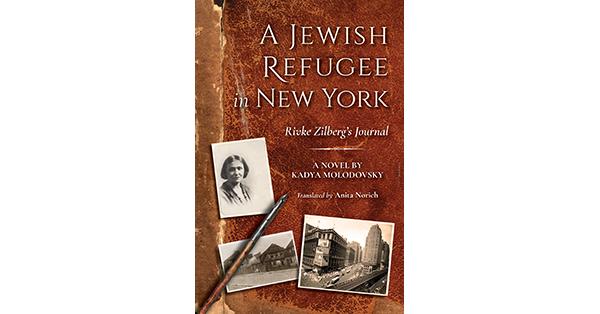 Rivke Zilberg, a 20-year-old Jewish woman, arrives in New York shortly after the Nazi invasion of Poland, her home country. In this fictionalized journal originally published in Yiddish, author Kadya Molodovsky provides keen insight into the day-to-day activities of the large immigrant Jewish community of New York. By depicting one woman's struggles as a Jewish refugee in the US during WWII, Molodovsky points readers to the social, political, and cultural tensions of that time and place. A reception and book signing will follow the program. A limited number of seats are available for this event; reservations are required. This event is generously supported by the Covenant Foundation. Ticket Info: Please note: This event is sold out. Anita Norich is Collegiate Professor Emerita of English and Judaic Studies at the University of Michigan, and currently the National Endowment for the Humanities Senior Scholar at the Center for Jewish History. Her recent publications include Writing in Tongues: Yiddish Translation in the 20th Century and Discovering Exile: Yiddish and Jewish American Literature in America During the Holocaust. Joseph Berger is a renowned journalist, author, and speaker. For many years he was a staff reporter of The New York Times. His books include Displaced Persons: Growing Up American After the Holocaust, and The World in a City: Traveling the Globe through the Neighborhoods of the New York. Brahms and Schumann shared their love for Clara Schumann. Both pieces at this concert, Brahms Piano Quartet in G minor, Op.25 and Schumann Piano Quintet in E-Flat Major, Op.44, were composed for her. She performed at the premiere of the Brahms Quartet, and was to perform at the premiere of the Schumann Quintet as well, but fell ill, so Felix Mendelssohn stepped in her place, sight-reading the piano part. Made possible by Stravinsky Institute Foundation through the generous support of Blavatnik Family Foundation. The 2018-19 “In Dialogue” series culminates in this daylong conference discussing Polish Jewish relations in the post-war era, including contemporary issues such as Poland’s controversial Holocaust law. Join us for a talk by founder and president of Yahad-In Unum, Catholic priest Father Patrick Desbois. Yahad-In Unum identifies mass Jewish killing sites and collects forensic evidence of the executions and conducts international workshops and graduate-level seminars to contribute to Holocaust scholarship and the study of genocide. For decades, scholarship on the Holocaust in Kovno has been dominated by the writings of ghetto elites, relegating the testimonies of Jews who did not occupy positions of authority during the war to the margins. This talk will highlight Yiddish and Hebrew accounts of the Kovno ghetto whose evidentiary value has been minimized or ignored. Considering current events, historians and the public are motivated to re-examine the history of antisemitism in the U.S. Join us for a panel discussion on antisemitism, and how it is woven into our national conversations around identity politics, intercultural relations, and national identity. Featuring Christina Greer, Tony Michels and Eric Ward. Part of the Jack Coleman and Lawrence Kanter, MD Lecture Series. Drawing on material in his new book Jewish Religious Music in Nineteenth-Century America: Restoring the Synagogue Soundtrack, Judah M. Cohen (Indiana University) presents a new side to the story of American Jewish music, including important sonic innovations of the 19thcentury. In celebration of Yom Ha’atzmaut, former army band singers Ariella Edvy and Omer Shaish, along with the MusicTalks ensemble, pay musical tribute to the Israeli army band phenomenon of the 60’s and 70’s. Through vivid stories and background, host Elad Kabilio contextualizes the music that helped inspire the young nation of Israel during and after times of war. Between 1881 and 1914, about two million Jews left the Tsarist Empire and departed westward, primarily for the United States. What were the logistics of this often-difficult process? This presentation will highlight the complex decision-making and border-crossing processes that individual Jews went through on their journeys to America. An opera by Giuseppe Verdi, adapted by and starring David Serero as Nabucco. Building on the Biblical accounts of the Babylonian Exile found in Jeremiah and Daniel, Verdi's Nabucco (Nebuchadnezzar) combines political and love intrigues with some of the greatest songs ever written (including “Va, pensiero, The Chorus of the Hebrew Slaves”). Who built my building? When? Who designed it? Has it changed? What did it used to look like? Who’s lived there over the decades? Has it been written about or photographed? New York City enjoys unrivalled resources for hunting down answers to those questions. In the past, such research meant visiting archives, city offices, libraries and historical societies, but in recent decades vast amounts of material have migrated to the cloud. For more than 30 years, Anthony Robins has taught New Yorkers the secrets of uncovering the city’s history in an annual seminar at the Municipal Art Society. This one-hour introduction synthesizes the highlights of that seminar, focusing on some of the most useful on-line resources — from New York City property records to newspaper databases to public library collections to photo research — and demonstrates their use. 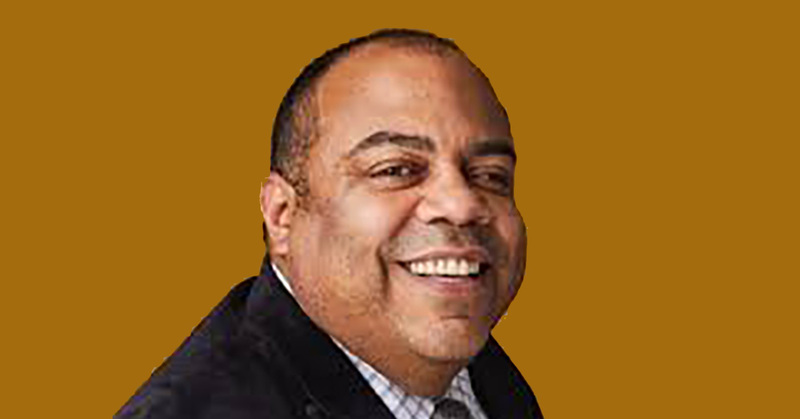 About the Speaker: Architectural historian and author Anthony W. Robins (AnthonyWRobins.com) spent 20 years on staff at the New York Landmarks Commission, supervising the work of historians researching the city's landmarks and historic districts. 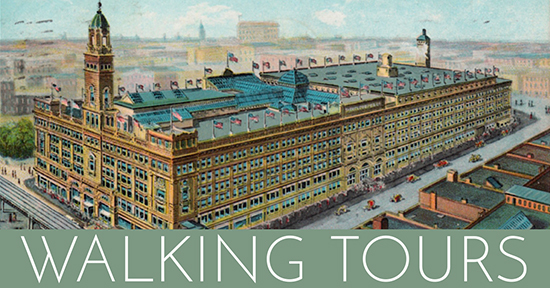 Now in private practice, he continues to research the history of the city's buildings, while writing, teaching and leading walking tours. His books include Grand Central Terminal: 100 Years of a New York Landmark; Classics of American Architecture: The World Trade Center; Subway Style: 100 Years of Architecture & Design in the New York City Subway; and New York Art Deco: A Guide to Gotham’s Jazz Age Architecture, winner of a 2017-2018 New York City Book Award from the New York Society Library. Marc Leepson will present a lively talk on U.S. Navy Commodore Uriah Phillips Levy and Representative Jefferson Monroe Levy, the Sephardic saviors of Jefferson’s iconic house at Charlottesville, Virginia, including the history of one of the most accomplished Jewish-American families (Levy-Phillips-Nunez). Join a group of distinguished scholars to commemorate the centennial of the 1919 wave of anti-Jewish violence unleashed by the Russian Civil War.They will discuss the pogroms through the lenses of the specific geopolitical context where the violence erupted, as well as in a comparative framework in relation to anti-Black violence. The presenters will also explore the power of literary responses to anti-Jewish violence and reassess the role that pogroms play in Jewish memory and history. The conference is organized thanks to the generous support of the Nevzlin Research Center for Russian and East European Jews, Hebrew University of Jerusalem, and The Blavatnik Family Foundation. Rob Snyder, author of the book Crossing Broadway, Washington Heights and the Promise of New York City, and Professor of Journalism and American Studies at Rutgers University-Newark, leads a walking tour and panel discussion in the northern Manhattan neighborhood once known as “Frankfurt on the Hudson” for its large population of German-Jewish refugees. Eight decades later, the neighborhood is still a vibrant home for new immigrant communities. Purchase tickets for location information. From Poland to Brazil to New Mexico, individuals, families and communities around the world are discovering that they have Jewish ancestors who renounced and/or suppressed their religious identity. What happens when Christians today learn that some of their long-ago relatives were Jewish? The West African nation of Cabo Verde offers an especially compelling place from which to explore this intriguing process because of the unexpected convergence of Jews and Africans on a remote archipelago in the North Atlantic. Professor Alma Gottlieb, an award-winning cultural anthropologist , will discuss her research with the Cabo Verdeans who are reconnecting with their Jewish heritage. p>A performance of two choral masterworks, Morton Feldman’s Rothko’s Chapel and David Lang’s Little March Girl Passion, featuring the young artists of the OS Ensemble, led by Raquel Acevedo-Klein, including the performance of a new secular sacred work by composer Adam Roberts, commissioned for the occasion. In the 1970s, American attorney Alfred H. Moses was approached on the streets of Bucharest by young Jews desperate to emigrate from Communist Romania to Israel. Helping them became his mission. In recognition of his work, Moses was appointed President Clinton’s first ambassador to Romania in 1994. 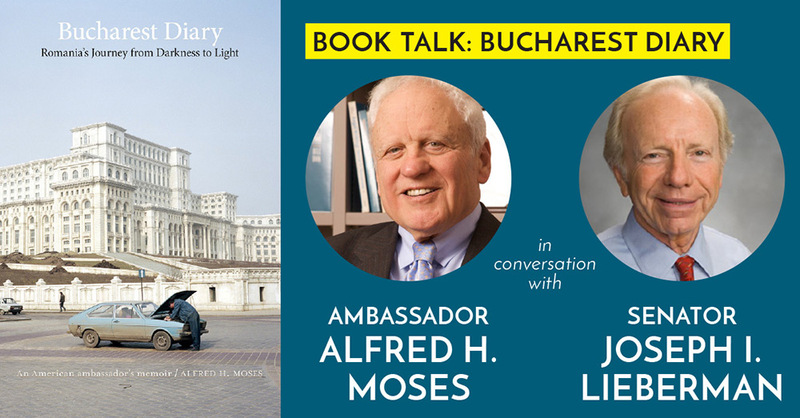 In his compelling memoir, Bucharest Diary Romania’s Journey from Darkness to Light, Moses writes about his fascinating career and the previously untold story of the exodus of Jews from Communist Romania to Israel. 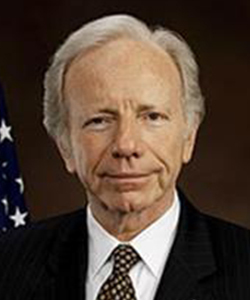 Senator Joseph Lieberman joins Ambassador Moses to discuss his historic work and key diplomatic role in Romania’s transition from its Communist past to democracy - and from “darkness to light.” Annie Polland, Executive Director of the American Jewish Historical Society, will open the program with a short talk about the Benjamin Peixotto collection which is held in the AJHS archives. Peixotto was the consul-general to Romania, appointed by President Grant in 1870. Book sale, signing and reception follow the program. Alfred H. Moses, a Washington attorney and chair of UN Watch (Geneva), was special counsel to President Jimmy Carter (1980-81), U.S. ambassador to Romania (1994-97), and special presidential envoy for the Cyprus conflict (1999-2001). Before becoming ambassador, he was national president of the American Jewish Committee. In recognition of his historic contributions, he was awarded Romania’s Marc Cruce Medal by President Ion Iliescu of Romania in 2002. Ambassador Moses was married to the former Carol Whitehill until her death in 2004. They had four children and eleven grandchildren. In August 2005 he married Fern Schad of New York City. Now Senior Counsel at the law firm of Kasowitz, Benson, Torres, and Friedman in New York, and Honorary Chairman, Beit Hatfutsot Board of Governors, Joseph I. Lieberman was a U.S. Senator from Connecticut for 24 years. At the end of his service in January 2013, he was Chairman of the Homeland Security and Governmental Affairs Committee, and a senior member of the Armed Services Committee. Before his election to the Senate in 1988, he was a Connecticut State Senator for ten years and the Connecticut Attorney General for six years. In 2000 he was the Democratic candidate for Vice President of the United States. Senator Lieberman is married to Hadassah Freilich Lieberman. Together they have four children and 12 grandchildren. 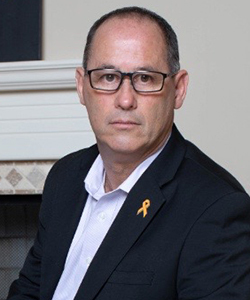 On February 14, 2018, Fred Guttenberg’s 14-year-old daughter Jaime was murdered at school by a gunman with a semiautomatic rifle. Jaime was one of 17 students killed that day at Marjory Stoneman Douglas High School in Parkland, Florida. Grieving, Fred found himself unable to stand still. The day after the murder, he attended a vigil and while there was asked to speak. That was the start of a new public life for Fred. Channeling his anger into action, he is now devoting his life to advocating for public safety. A native of Long Island, Fred says his Jewish upbringing instilled in him a commitment to family, service, and standing up for others - values he imparted to his own children. 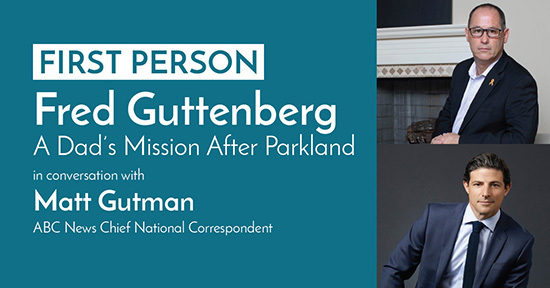 Matt Gutman, an ABC News Chief National Correspondent joins Fred for a conversation about speaking out, fighting back, and challenging elected officials to do more. Fred Guttenberg moved to Florida from Long Island in 1989 shortly after graduating from Skidmore College in New York in 1988. His brother Michael Guttenberg, a first responder during 9/11, died from cancer in 2017 as a result of ground zero exposure. After his daughter’s death, Fred founded Orange Ribbons For Jaime a 501(C)(3) foundation that supports causes important to Jaime in life, as well as those that deal with the way her life was tragically cut short. Donations are made to organizations in the world of dance and to organizations that deal with bullying and children with special needs. Fred, his wife Jennifer, and their son Jesse currently reside in Parkland, Florida. 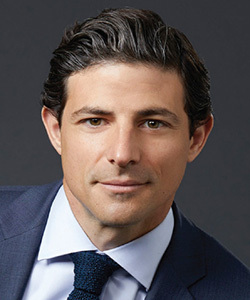 Matt Gutman is an award winning ABC News Chief National Correspondent. He appears on all ABC News broadcasts and platforms, including World News Tonight with David Muir, 20/20, Good Morning America, and Nightline. Reporting for ABC from nearly 50 countries across the globe, Matt has covered many of the major stories of the past decade including the miraculous rescue of the boys’ soccer team from a cave in Thailand about which he wrote the 2018 book The Boys in the Cave: Deep Inside the Impossible Rescue in Thailand. In 2016, while reporting on the upheaval in Venezuela, he was detained for five days by the country’s secret police for “the crime” of reporting on the fatal shortages of medicine and food in the country’s hospitals. Experiencing the inside of one of Venezuela’s dreaded intelligence agency’s prisons further opened his eyes to the corrosive power of repressive governments. Before joining ABC News in 2008, Matt was a Jerusalem-based reporter for seven years, covering every major conflict in the Middle East, from the Palestinian uprising to the invasion of Iraq. He lives in California with his wife and two children. The Center is closed Sunday, May 26 and Monday, May 27 in honor of Memorial Day. The Center is closed Monday, May 27th in honor of Memorial Day. Power/Jew Süss (UK, 1934), directed by Lothar Mendes with Conrad Veidt in the leading role is the first important film of the German-Jewish exiles. The film is based on the novel by Lion Feuchtwanger who cooperated, though in a critical vain, with the efforts to transfer his work to the screen. The film was intended to give an answer to the rise of German antisemitism. It was in many ways innovative and the Nazi film minister Goebbels was infuriated. The racist idea to transform the original story and the film into a visual piece of murderous antisemitism and to steal as much visuals as possible from the exiles` film was born at this time but it took years until the Nazi filmmaker Veit Harlan directed his antisemitic film Jew Süss. The talk will illustrate the production, the ensuing discussion about the 1934 film, Feuchtwangers reaction and the Nazi endeavors to use the film of 1934 as supportive means for mass murder. The talk will compare film sequences and try to answer the question why the Nazi film today is much more known than the anti-Nazi film. Frank Stern studied at the Free University Berlin, the Hebrew University in Jerusalem, and received his PhD from Tel-Aviv University where he taught Modern History and Culture. From 1997 to 2004 Professor for Modern German History and Culture and director of the Center for German Studies and the Austrian-German Studies Program at Ben-Gurion University in Beer-Sheva, Israel, and 2002 Acting Chair at the Department of Film and Television at Sapir College, Sederot. Visiting Professor at Columbia University in the City of New York, at Georgetown University, Washington DC, at Humboldt University Berlin, and at Vienna University. Since 2004 teaching cinema and cultural history at the Institute for Contemporary History at Vienna University. He published widely on postwar Germany, on problems of philosemitism and anti-Semitism (the Whitewashing of the Yellow Badge), on American-German-Israeli relations, on German-Jewish issues, and particularly on German, Austrian and US-American film. Jews in late-19th century Poland and Russia developed a practice of making decorative papercuts for Shavuot, often representing flowers and animals. Continue this folk tradition by creating your own decorative papercut for the holiday. Artist Deborah Ugoretz will discuss the history of this craft, show examples of her own designs and teach techniques for incorporating traditional flower and animal shapes into your own work. For ages 12 through adult. Stepping into a bullfighting ring in Mexico for the first time in 1923, Sidney Franklin launched a decades-long career as the world’s first Jewish matador. Secretly gay, celebrated and befriended by the likes of Ernest Hemingway and starring alongside Paulette Goddard and Eddie Cantor, “El Torero de la Torah” traveled a long way from his upbringing as the fifth of nine children of Russian-born, Orthodox Jewish parents in Brooklyn. Rachel Miller, Director of Archive and Library Services at the Center for Jewish History, brings Franklin’s fascinating story Out of the Box. At the Center for Jewish History, there are tens of thousands of boxes in our partners’ archival collections. Boxes filled with photographs, journals, letters, and documents. Boxes filled with stories. Come see what we find! Join us for our new series, Out of the Box. Rachel Miller is the Director of Archive and Library Services at the Center for Jewish History. 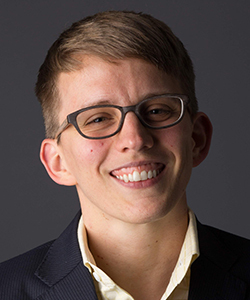 After receiving her Masters in Library and Information Science from Rutgers University, she became an archivist at the Center for Jewish History in 2008 and worked on the Sidney Franklin collection in 2010. 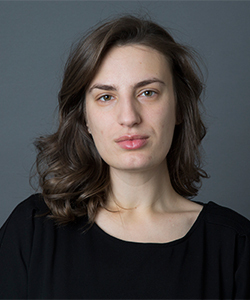 Rachel holds a BA in English from Barnard College and has translated contemporary Hungarian literature. An elegant illuminating retrospective program devoted to classic treasures of secular Hebrew song and the poetry that has inspired this rich variety of musical expression for more than a century. In honor of Jerusalem Day, Israeli singer Omer Shaish and the MusicTalks Ensemble offer a musical tribute to the City of David. Host Elad Kabilio provides background on a wide array of songs – from traditional to modern songs, liturgical to pop – celebrating the city in its historic and contemporary context. In this book, Suketu Mehta (NYU) in conversation with Nancy Foner (CUNY Hunter College), juxtaposes the phony narratives of populist ideologues with the ordinary heroism of laborers, nannies and others, from Dubai to Queens, and explains why more people are on the move today than ever before. The Center is closed Sunday, June 9 for Shavuot. The Center is closed Monday, June 10 for Shavuot. This talk with author Julie Salamon and Warren Bass, Senior Editor at The Wall Street Journal, revisits the events of October 3, 1985, when Leon Klinghoffer, a disabled Jewish New Yorker, and his wife boarded the Achille Lauro to celebrate their 36th wedding anniversary. Four days later, four Palestinians took the passengers and crew hostage. Devotion, heartache, intrigue, New Age spiritualism, the von Trapp family, a love triangle, and even Matthew Broderick! The Kulbach family had it all. Once members of the German Jewish intellectual elite, the Kulbachs survived wartime Germany, endured the trauma of immigration, and established new lives in the United States. Piecing together photos, letters, and other archival materials, Sarah Glover, Archivist at the Center for Jewish History, brings the Kulbach story Out of the Box and back to life. Sarah Glover is an Archivist and Digitization Projects Liaison at the Center for Jewish History, where she has worked since 2015. She received her undergraduate degree from the University of Illinois at Urbana-Champaign where she studied English, History, and Jewish Studies and her Master of Science in Information from the University of Michigan. Sarah uses her knowledge of German, Hebrew, and Yiddish in her archival work. 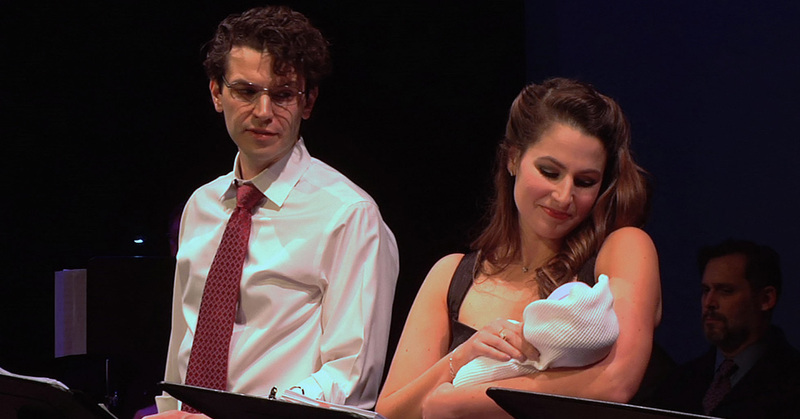 Shakespeare’s classic tale of love and loss reconceived as the story of two Jewish lovers, one from a Sephardi family and one from an Ashkenazi family. Featuring Ladino and Yiddish songs. Original Jewish adaption by David Serero. Want to put your online snooping habits to good use? Join us for a unique after-hours opportunity to learn from our expert genealogy librarians. We’ll show you how to find out where your grandparents and great-grandparents lived, what kind of work they did, when they arrived in the U.S., and more. Then, you’ll dig into our treasure trove of online genealogy records. Afterwards, share your discoveries with your fellow family history sleuths. Wine and light refreshments will be served. ASF’s Institute of Jewish Experience and Association Mimouna present a three-day scholarly and cultural conference exploring Moroccan Jewish heritage and the shared history and uncommon cultural commonalities of Jewish and Muslim Moroccans. The conference will feature 40 of the world’s leading academics and artists. Records generated when a person dies are a great resource for the family genealogist. This presentation will cover in depth each type of record beginning with the death certificate and continuing with cemeteries, landsmanshaftn, gravestones, Social Security records, medical records, undertakers, newspaper obituaries and probate. Phyllis Kramer is a practicing genealogist with primary interest in Eastern European Jewish research. As Vice President of Education at JewishGen.org, Phyllis created the Education Program and teaches courses and maintains 15 Kehilalinks for her ancestral shtetls. Many programs take place on the Kumble Stage in the Leo and Julia Forchheimer Auditorium and in the Paul S. and Sylvia Steinberg Great Hall.